- This is what makes us grow plants. Their sheer beauty. 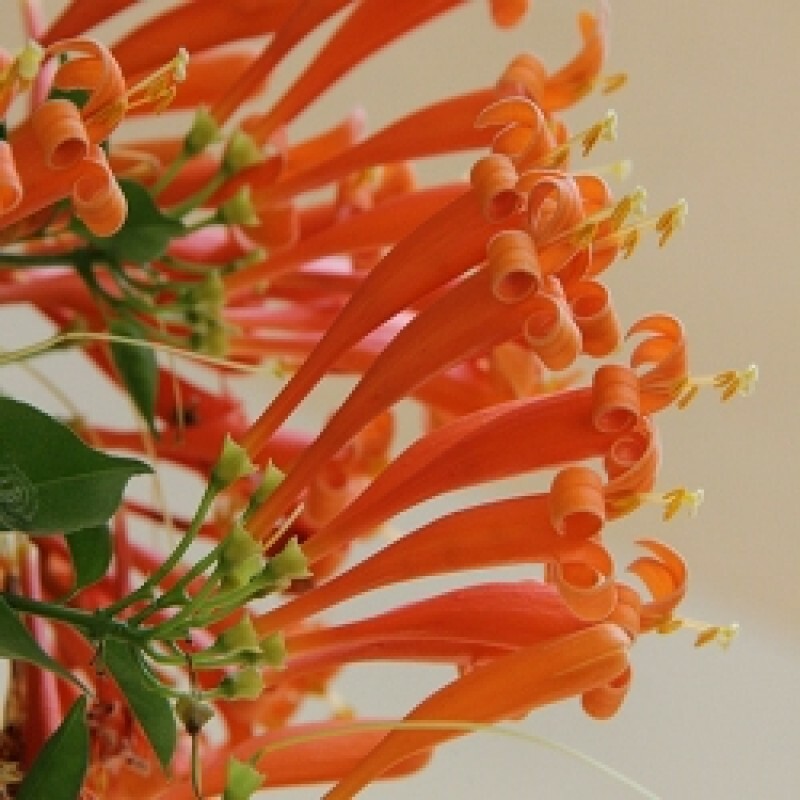 A Pyrostegia in full bloom is more pretty than any man made item. And its beauty lies in its short fleeting presence. - This beautiful climber comes to us from Brazil and Paraguay. - Leaves are compound with 2-8 leafiets and one terminal one. - Leaflets ovate to ovate oblong 4-7 cm long. - Corolla tubular about 5 cm long. - Orange slender tubed flowers, 8 cm long. - Flowers are borne in large drooping clusters. - Grows best in full sunlight. - Will climb and cover a fence, trellis, walls and arches. - Dry and thin shoots should be removed after flowering. - Plants will not bloom well in warm and humid coastal areas. - They require cool winters for best bloom. - Can be grown as a pot plant as well.